The configuration is created by swapping the clip-frame backs, creating thee surface conditions: glass; hardboard; and the combination of glass and hardboard. The reconfigured arrangement explore the materiality of shinny reflective glass and cheap pressed hardboard and the overlapping of the two. The clipframe is the most ubiquitous, cheapest and minimal of all picture frames. Commonly used to protect cheap prints, photographs and certificates, a neutral support for its content. 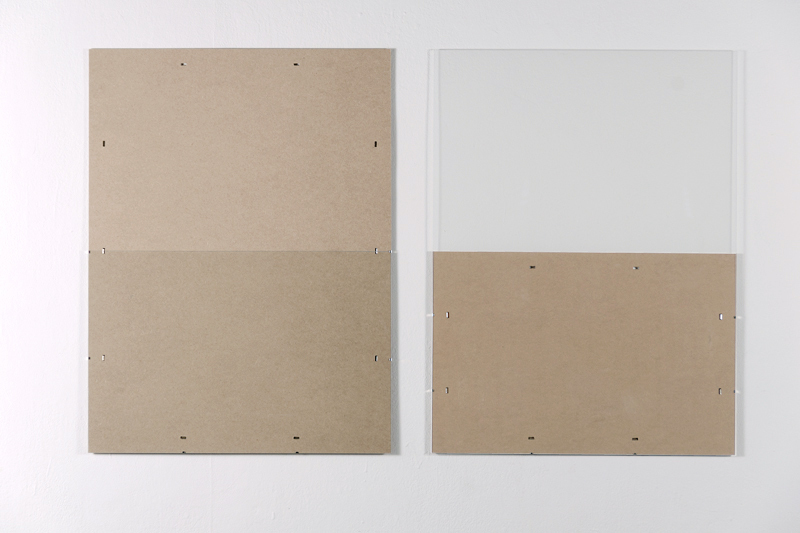 Void of content, the clip-frame becomes both material and subject.